Add modern style to a space with this abstract design. 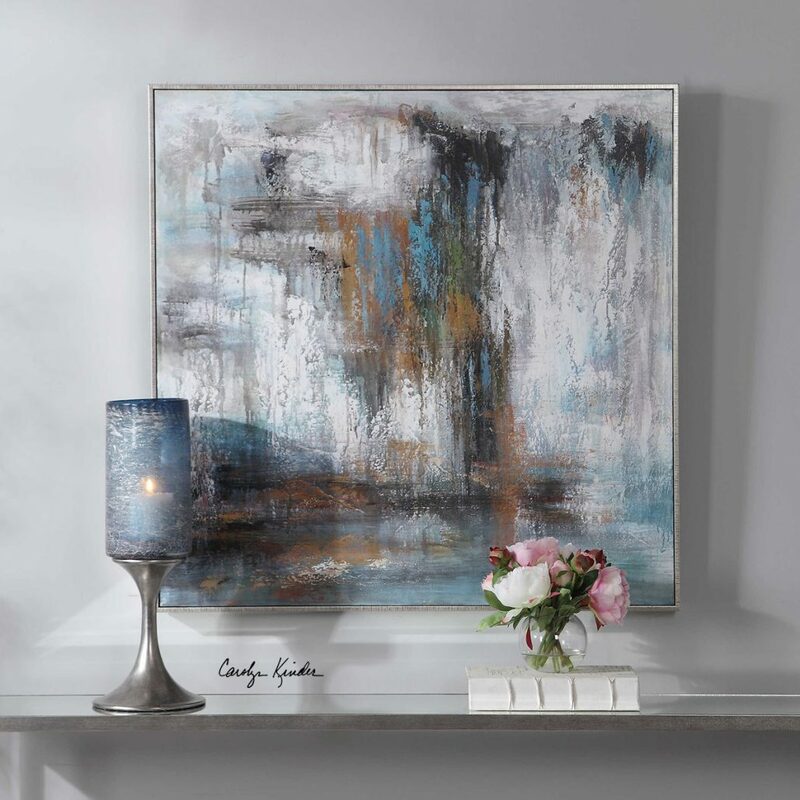 This hand painted canvas showcases ivory, charcoal, and blue tones with mustard and forest green drip accents. Each canvas is stretched over a wooden frame and completed with an antique silver gallery frame. Designed by Carolyn Kinder International. Available to trade professionals at Uttermost.com. Explore retail purchase options with Google Keywords Carolyn Kinder Downpour Modern Art.